NDIA will host the 2019 Global Explosive Ordnance Disposal (EOD) Symposium & Exhibition 6-8 August 2019 in Bethesda, Maryland. 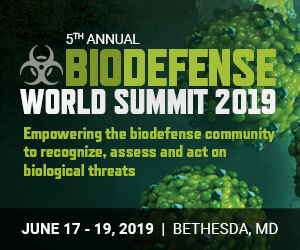 The symposium will feature three sub-track professional tenets in Counter IED, Counter UXO and Combating WMD that showcase international and interagency interoperability. The event will additionally encompass The Joint Improvised-Threat Defeat Organization’s (JIDO) Annual Technology Outreach event with senior JIDO leadership and program managers, including breakout sessions on hot topics and 1:1 meeting. Please visit NDIA’s 2019 Global Explosive Ordnance Disposal (EOD) Symposium & Exhibition website for more information.